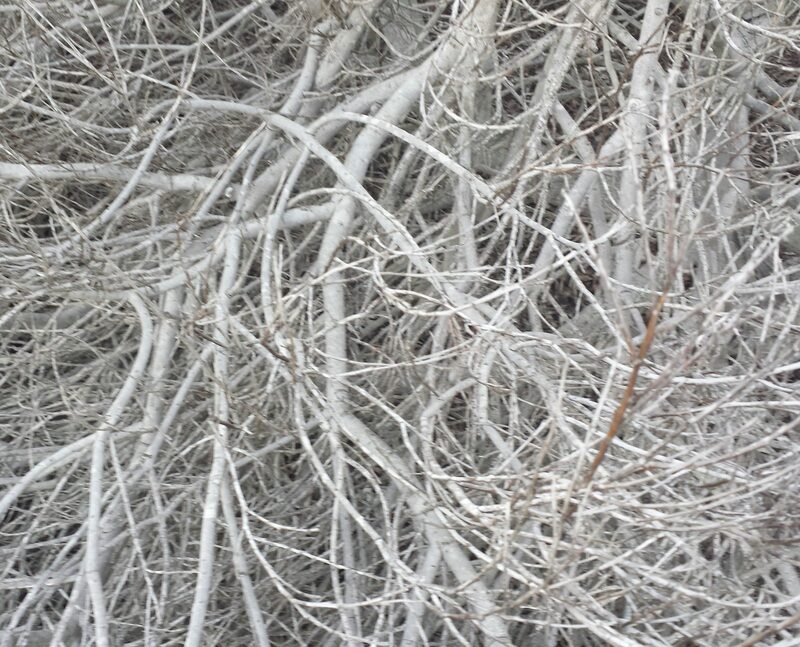 I can imagine a series of photos of these pale, bleached out roots, branches, twigs that I’m drawn to. They feel very Japanese to me. Quiet and subtle. I think they might belong in my [imaginary] pale, minimalist house. A horizontal series of five, maybe a square format, each in a light gray matte frame. I keep coming back to these images. They have a serene richness — not my doing, but Nature’s. I may go back and print the others in this series. On matte watercolor paper. Soft. A bit of blur — because of the texture of the paper — wouldn’t be bad. No wonder I can’t figure out what art to make these days; it’s the less common burden of too many ideas. I like the depth it reveals.